Grab your coffee or, if you prefer, favorite 'non-hot' Sunday morning drink, and relax. Time for things only interesting to me. Pictured: Bonduel in the Summer. "Bonduel takes its name from Reverend F. Bonduel, who was a priest from Green Bay. The legend is that after providing missionary services to local Native Americans, the village was named after him. There is also a legend about how the "Bears" name came about. It is that one day while the Reverend was making his rounds, someone attacked him. However, two bears came to the defense of the helpless man, scaring the attacker away. It is said that after this time, the bears followed him no matter where he went, protecting him from any harm." It always goes back to a guy being protected by two bears doesn't it? 2. Other video games I played this year. Sitting on my coffee table is a little stack of PS3 games I got in 2010 a couple of which I didn't mention in my game of the year post. Namely, Just Cause 2, MLB: The Show and... Naughty Bear. Bears again! That game is one of those "so bad it's good". 2a. Just Cause 2 is a really fun game. It's like an action movie that you can direct yourself. Climb in a helicopter, take it up as far as you can go, crash it into a military base atop a tall snowy mountain and para shoot out down to a boat next to a tropical village... rinse and repeat. Dang it Ravens. You just created another legion of B.I.R.G.s. for the Steelers. 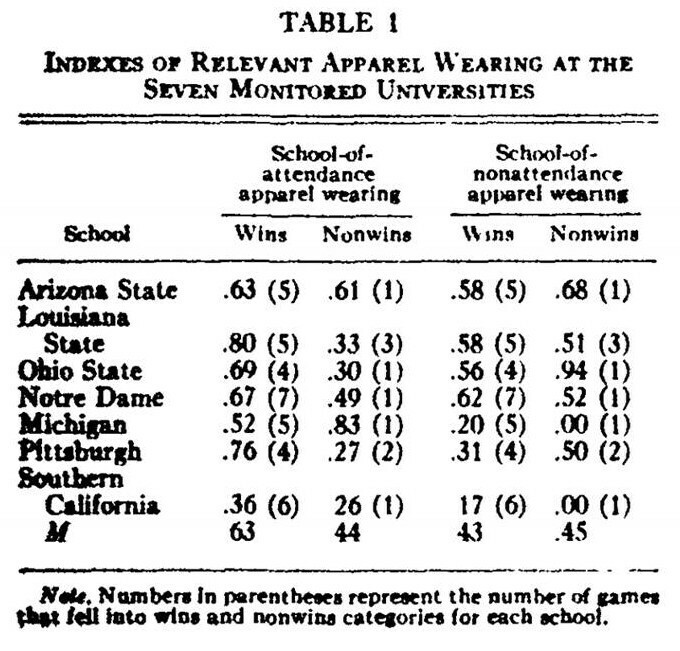 That's from a study done back in the 70s about bandwagon fans. Basking In Reflective Glory. 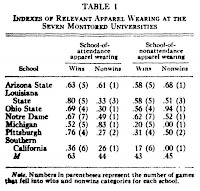 Notice in the table picture that UM fans actually support their team win or loose. OSU fans disappear. 3a. Dome team Atlanta Falcons get blown out. Woohoo! Watching the Green Bay packers playing in that awful, sterile visual environment was painful. Booooo domed teams. BOOOOOOOOOO. 4. Movies needing time to soak. Picked up a couple movies recently to watch and try and figure out if they are really good or just good at the time in the theater. Pans Labyrinth; Good. Up; Not so good. Unfortunately I saw this is washed out 3-D first. Gave it another chance and think it's good, but not great. I did discover it is very pretty though. 3-D. Boooooo. Higginbotham! Stoke again proving some of the modern thoughts about possession wrong. 35% in another win? Yes. Also, good to see Holden out there for Bolton. 5a. Tevez is a beast. 5b. Watching the Liverpool / Everton game now. Liverpool is attack, attack, ATTACK! good. 5c. Opps. Opened them up. 2 quick goals from Everton.